In 2017, UCSF introduced a Plan that reduces the UCSF forest area by one-third, removes around 6,000 trees (new estimate!) and all the understory/ midstory shrubs. This has started. 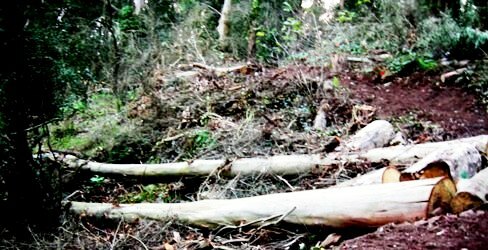 The article below is republished with permission and minor changes from SaveSutro.com, the website to publicize and resist the destruction of the forest. We were surprised, because they’re supposed to avoid doing this in the winter when the ground is unstable with rain, and in the spring and summer when it’s the bird-nesting season. Tree-felling season was supposed to be in the Fall. But no, it’s happening now and they intend to finish by March. Thousands of trees will be gone, and the forest as we know it will be severely depleted. Tree cutting has started in the East Ridge area (above the UCSF student housing at Aldea), Clarendon area (parallel to Christopher Drive), the Woodland Canyon Area (below Medical Center Way), the Farnsworth area (between Edgewood Avenue and the UCSF campus). The memo says they plan to bring in goats to eat the understory in February 2019, but a subsequent memo says it’s happening earlier. Anyway, what we can expect in Sutro Forest this year is a lot less forest – thousands of trees removed, missing canopy, and bare open patches where the understory is also gone. We hope you have made memories of the beautiful forest as it used to be. This site has been fighting the battle since 2009; others started in 1999. Sadly, the Sutro Stewards, who partner with UCSF in working in this forest, support this felling of trees and destruction of the understory. This 130-year-old forest is no longer going to be a forest. 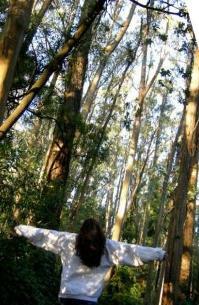 The San Francisco Forest Alliance and Save Sutro Forest are holding a meeting on 21 April 2013 to talk about the planned felling of trees on Mount Sutro — and on Mount Davidson. These actions would gut two important urban forests in San Francisco and irretrievably alter the landscape. 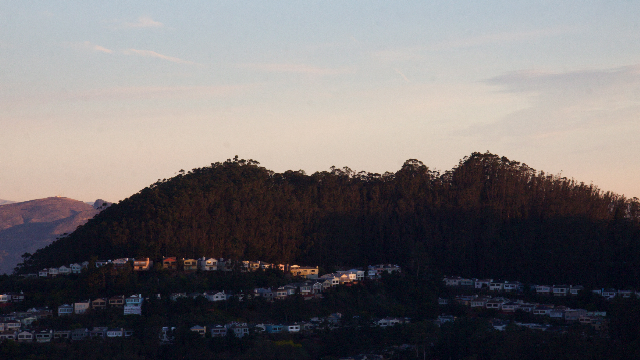 How many thousand trees do they plan to cut down on Mount Sutro? On Mount Davidson? For answers to these questions and more, come to the meeting! WHEN: April 21st, 2013 (Sunday) – 4.30 p.m. to 6.30 p.m.